ASAP continues its 2017 surge. Union County, NC went live on Thursday, September 21 at 10:30 a.m. with Vector Security, Rapid Response, Affiliated, and Vivint. The county will be going live with additional monitoring centers this week. Union County is the 28th agency in the United States and 8th PSAP in North Carolina to join the ASAP program. On September 7, the Alarm Industry Communications Committee hosted its fall meeting in Washington DC and welcomed two Members of Congress with important connections to telecommunications legislation and regulations. Rep. Susan Brooks (R-IN) currently serves on the House Energy and Commerce Committee and is a member of the Communications and Technology, the Health, and the Oversight and Investigations Subcommittees. She spoke about disaster preparedness and Hurricane Harvey, noting that any natural disaster affects the alarm industry. She noted that the whole country needs to be connected to broadband — the lack of it is “not fair to small towns, rural areas which are struggling to survive” — and the need to rewrite the Telecommunications Act of 1996. Later in the meeting, Rep. Greg Walden (R-OR), chairman of the Energy and Commerce Committee’s Subcommittee on Communications and Technology, addressed the AICC members primarily on the issue of Net Neutrality. AICC members noted that they are participating in the comments process. Walden said his committee is “fully committed to finding a legislative solution that takes care of bad behavior but does not suppress innovation.” He noted that reauthorizing the FCC as an agency needs to happen before the Telecoms Act can be addressed. Following the representatives’ remarks, AICC members were able to ask questions and put forward their concerns as an industry of small businesses regarding the Telecoms Act, Net Neutrality, and FirstNet. In a new milestone for the Automated Secure Alarm Protocol (ASAP®) service, Johnson Controls Building Solutions, North America went live with the city of Richmond, VA on September 18. ASAP, launched in 2011 as a public-private partnership, is designed to increase the efficiency and reliability of emergency electronic signals from alarm companies to PSAPs. ASAP utilizes ANSI standard protocols developed cooperatively by the Association of Public-Safety Communications Officials (APCO) and The Monitoring Association (TMA). With ASAP, critical life safety signals and accurate information are processed digitally in seconds through the Nlets system of state-to-state PSAP communication, insuring that complete and accurate information is transmitted to a PSAP every time. ASAP benefits PSAPs by reducing 10-digit phone call volume from alarm companies; reducing 9-1-1 processing time from minutes to seconds; and eliminating errors and miscommunications from voice calls. These benefits translate to improved public safety outcomes. Since its creation, ASAP has grown steadily nationwide. The alarm industry is committed to the service, with small, medium and large companies onboard. The major CAD providers now deliver an ASAP interface. PSAPs ranging from small municipalities to large cities are connected. And the ASAP technical implementation team has developed standardized technology for seamless deployment. September is National Preparedness Month — Disasters Don’t Plan Ahead. You Can. 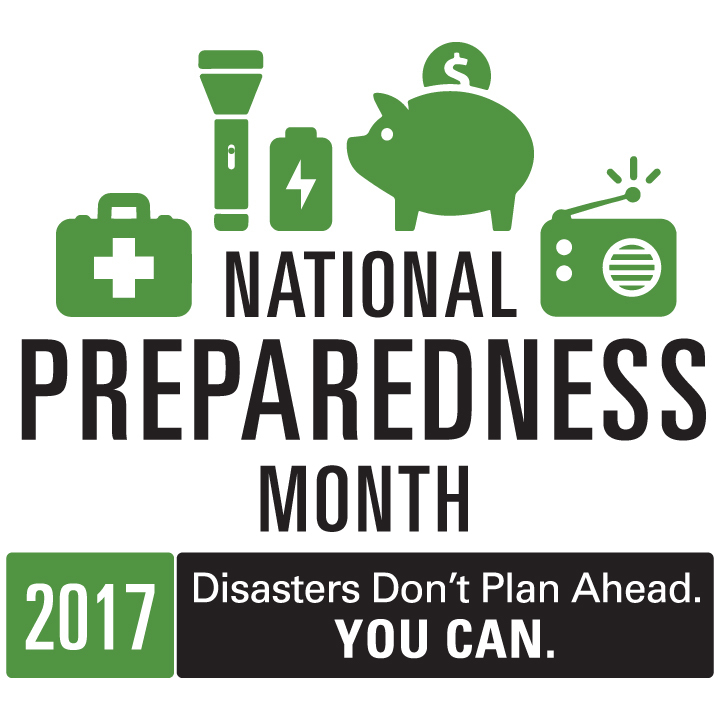 September is National Preparedness Month (NPM)! Disasters don’t plan ahead, but you can. We should all take action to prepare! We are all able to help first responders in our community by training how to respond during an emergency and what to do when disaster strikes — where we live, work, and visit. The goal of NPM is to increase the overall number of individuals, families, and communities that engage in preparedness actions at home, work, business, school, and place of worship. Find more information and resources at National Preparedness Month.